Christopher A. Christianson grew up in Plymouth, Wisconsin and moved to Rapid City in 2000. After graduating from Stevens High School in 2003, he attended the University of Minnesota. In 2007, he earned a Bachelor’s degree in Political Science and History. Chris returned to South Dakota in 2009 to attend law school. While in law school, Chris interned at the Pennington County States Attorney’s office and studied comparative law in China. He graduated from the University of South Dakota School of Law in 2012. 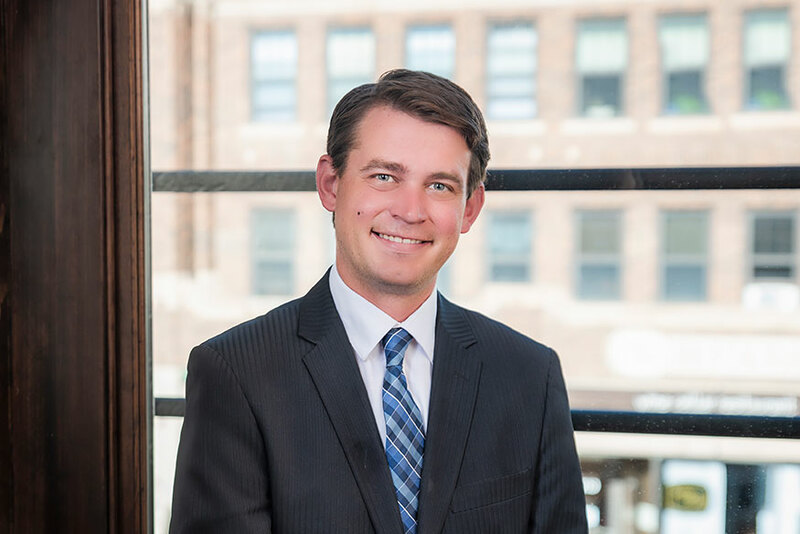 Chris has been licensed in the state of South Dakota since 2013 and has focused his practice on litigation, business, and real estate law. Prior to practicing law, Chris was active in his family’s business, which involves hotel operations and development. Chris is an active member of the Pennington County Bar Association, Young Professionals Group of Rapid City and is a Member of Leadership Rapid City, class of 2015. Chris was recently recognized as the 2018 Outstanding Young Lawyer of the Year by the Pennington County Bar Association. Outside of work, Chris enjoys hiking, biking, reading, and traveling when he has the opportunity to do so.